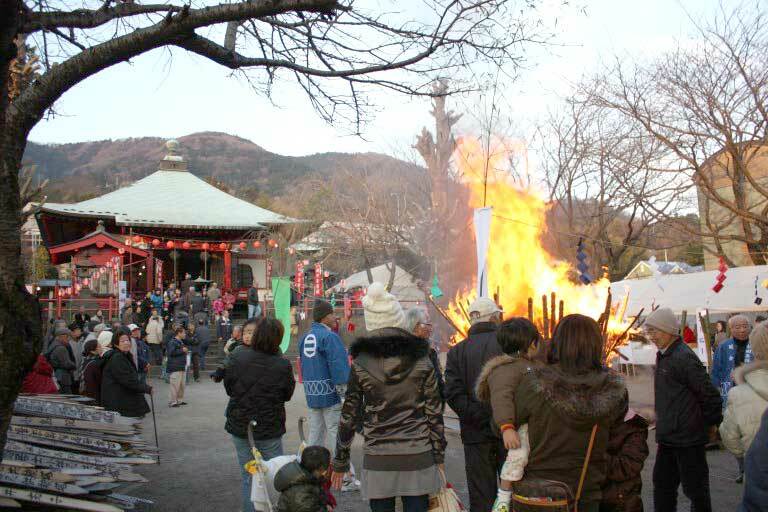 ‘Dondo-yaki’ will be held on January 14 (Little New Year). 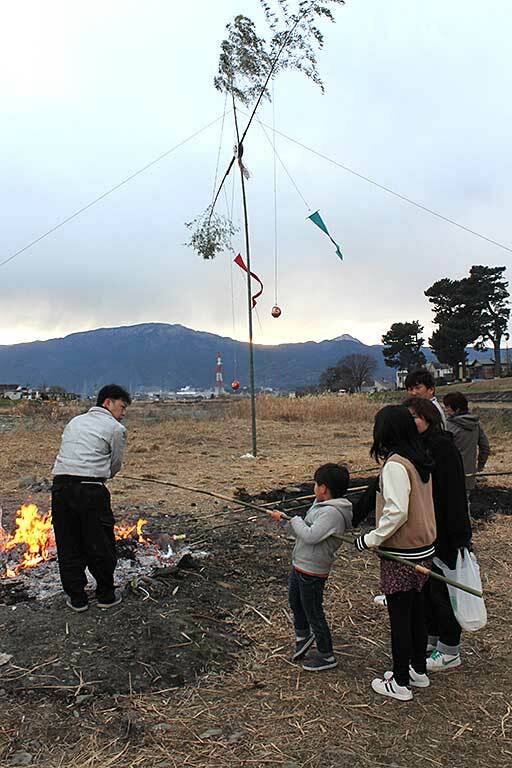 It is a festival where people pray for the growth of children. 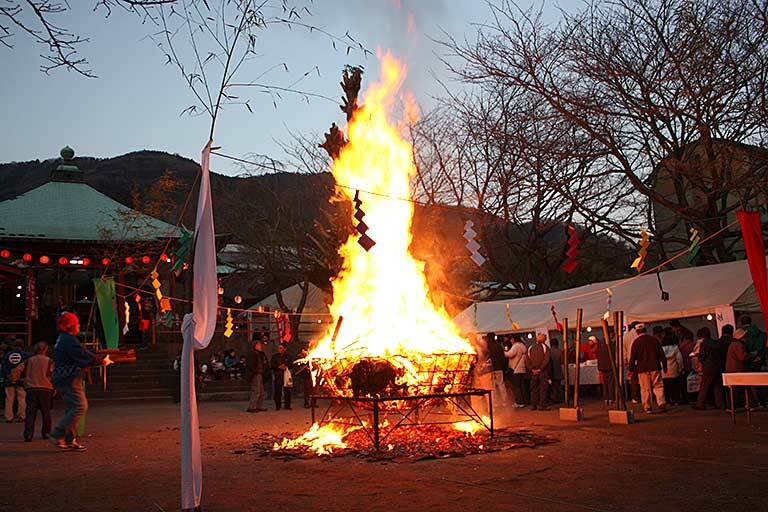 Since the local Dosojin (guardian deity) is ‘Sai no kami’ the festival is also referred to as ‘Saitobarai’ (lit: lawn light purification) festival. 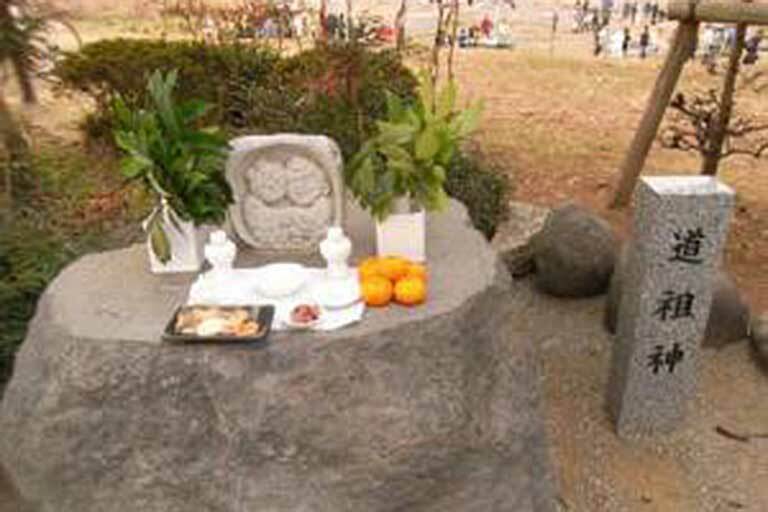 In traditional fashion the local communities each make their own altar to be worshipped. 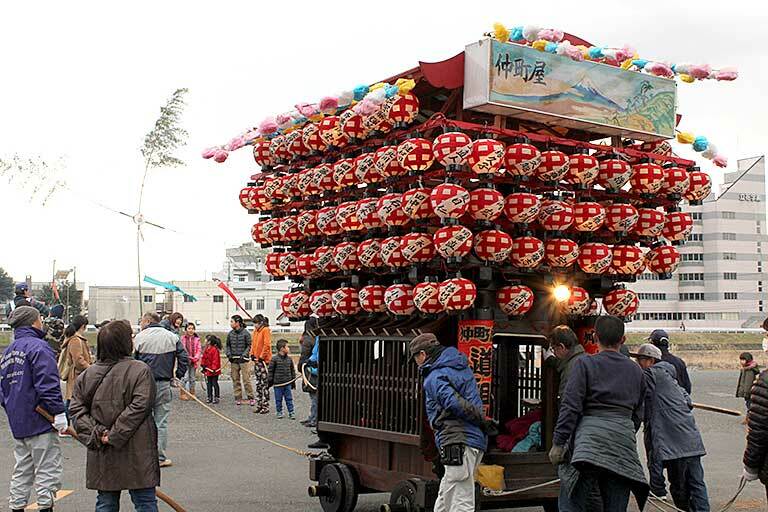 Talismans such as New Year’s decorations, daruma-dolls etc. 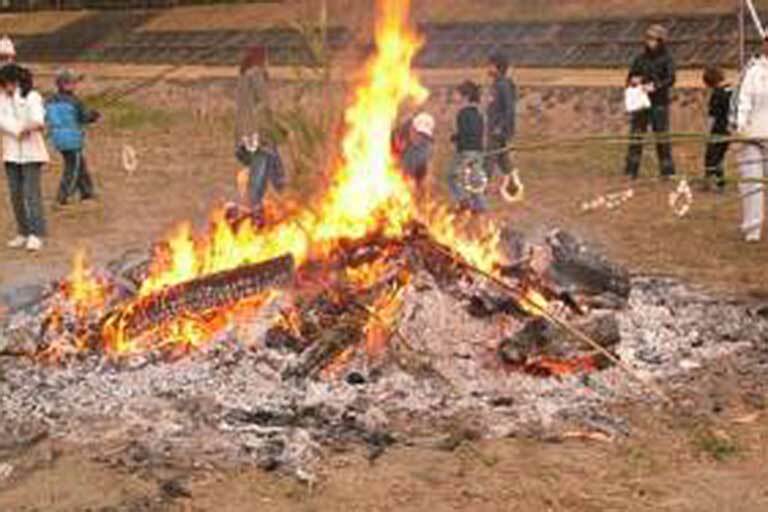 are gathered and burnt. 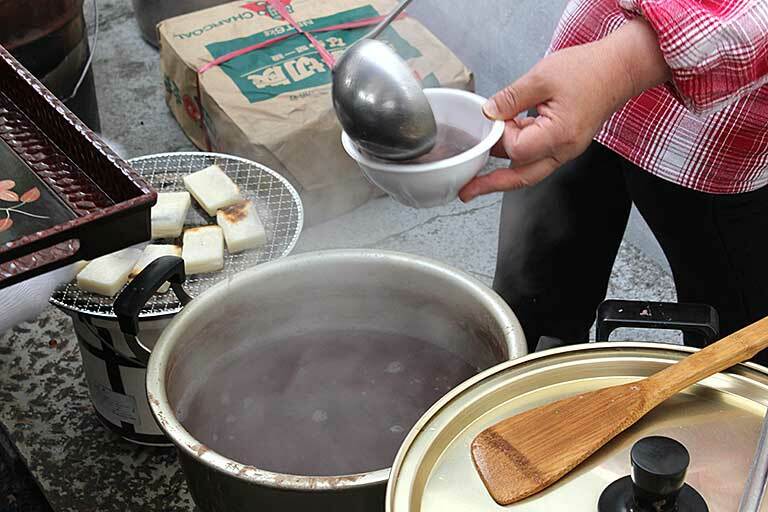 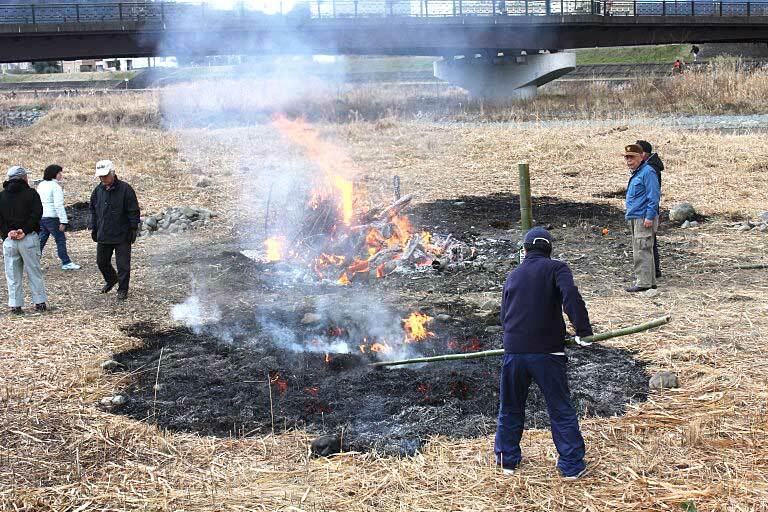 That fire is used to make mochi and dango which are then eaten to prevent sickness. 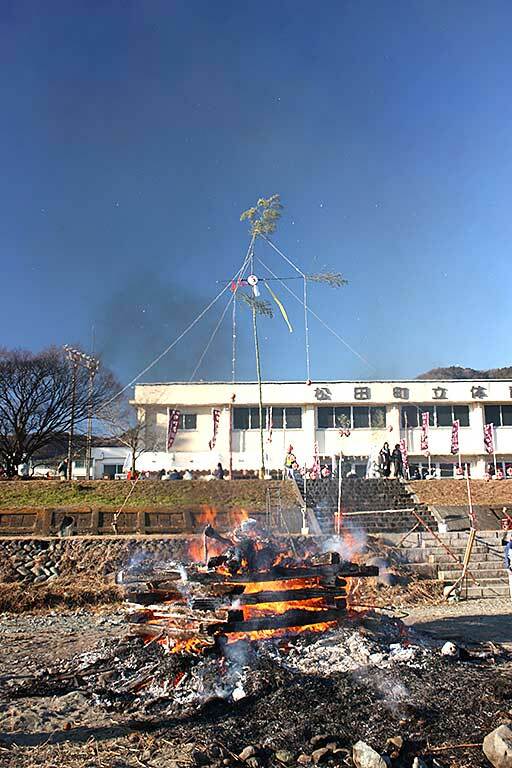 Written notes called kakizome (lit: first writing) are also put into the fire, it is said that if the burning paper flies up high, that person’s calligraphy skills will improve. 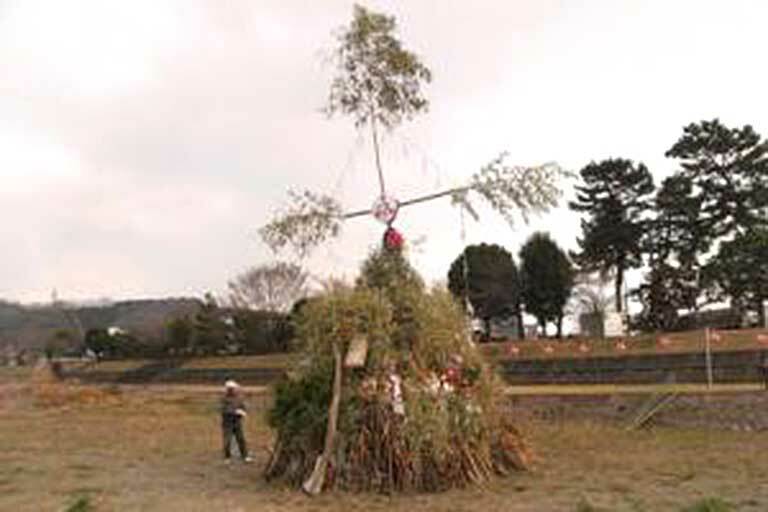 As an offering to Dosojin, who is also regarded ‘children’s guardian deity’, in areas with lots of children senior students play the taiko drums as school representatives. 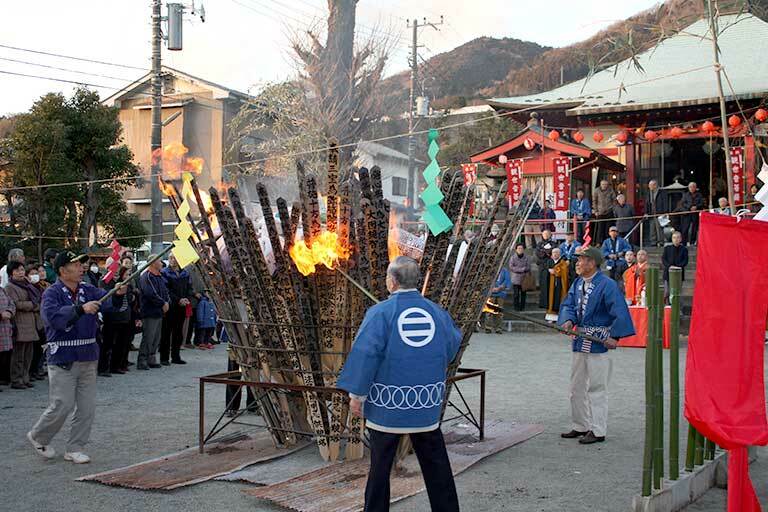 On January 18th, Emmei Temple’s temple festival day, a ceremony called ‘Daikitohoyo’ (lit: large prayer request) is held. 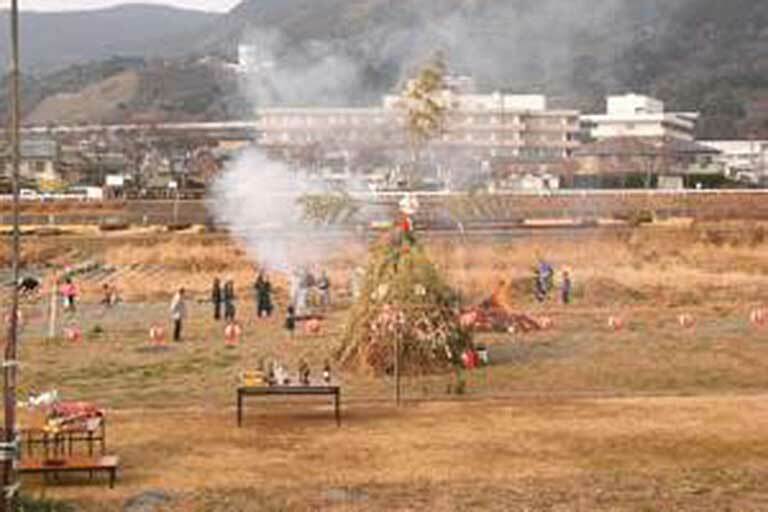 As this is a special festival at the start of the new year, about 20 chief priests from Soto sect temples nearby will assemble. 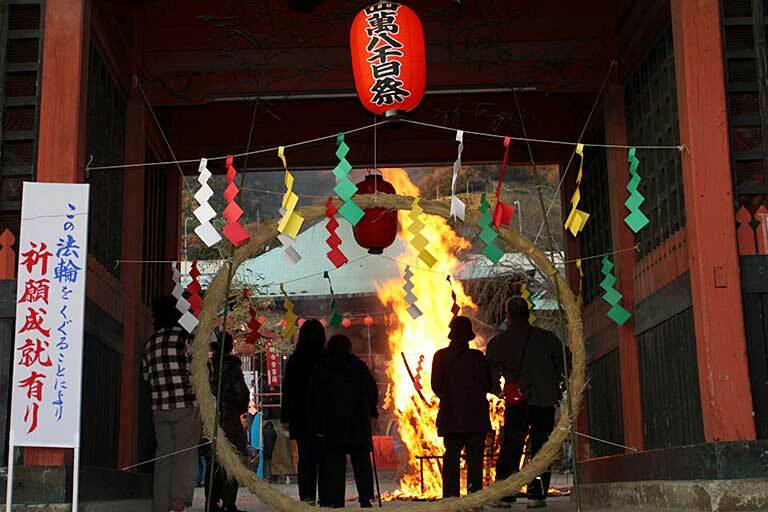 They will carry out prayers for good luck and protection against evil. 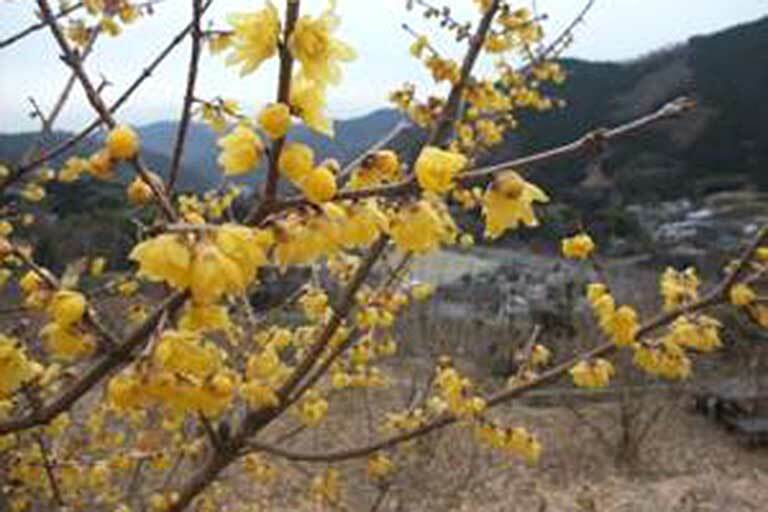 On this day many worshippers from inside and outside of town come to Emmei Temple to pray for a good health and safety for their families. 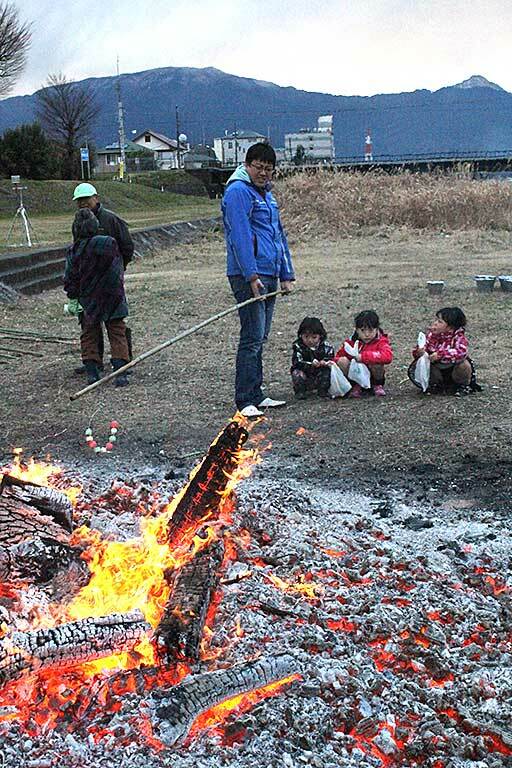 As onlookers watch attentively a grand fire called ‘otakiage’ that reaches high up in the sky, as if burning the heavens, is lit on the temple grounds. 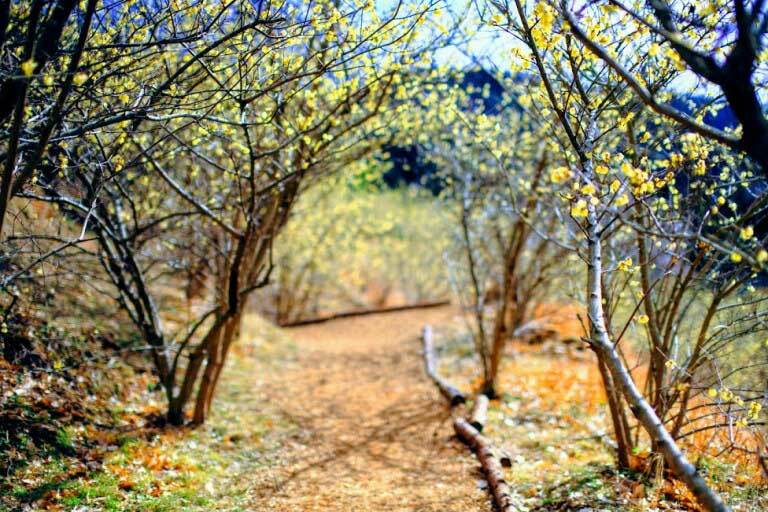 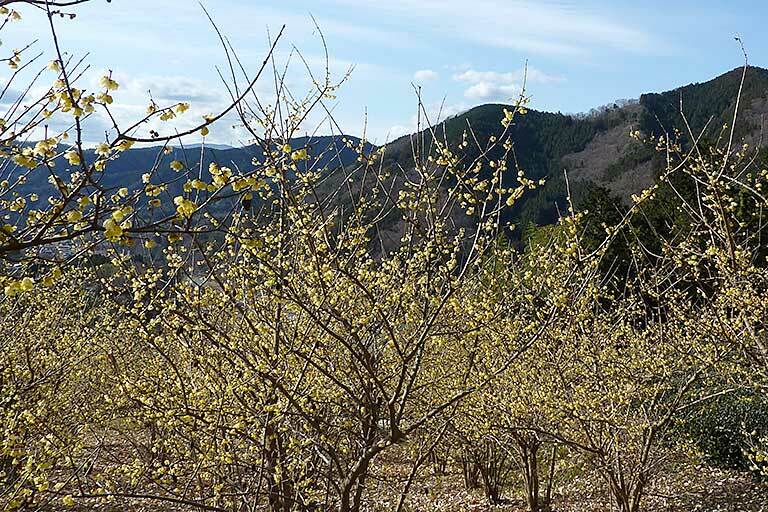 Over 1,000 winter sweets are planted in the park spread out over the southern slope of the Utsushige district. 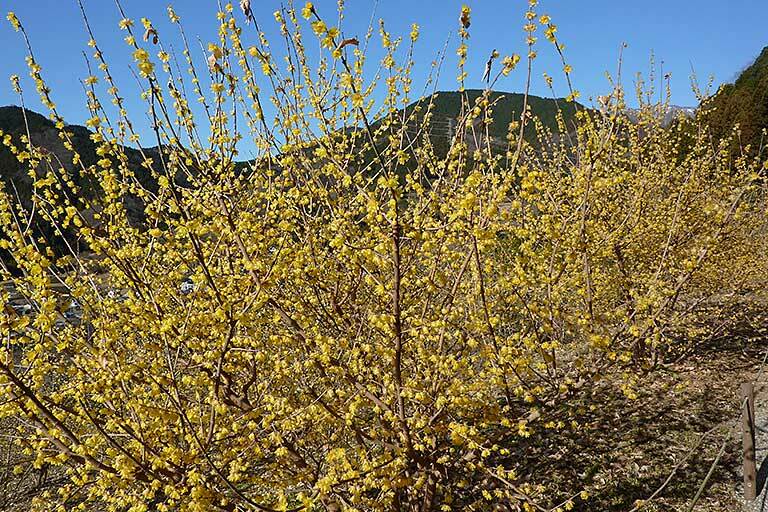 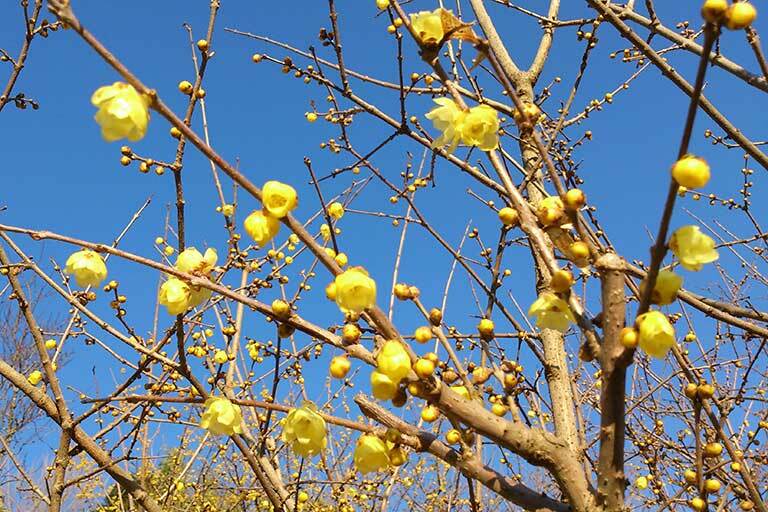 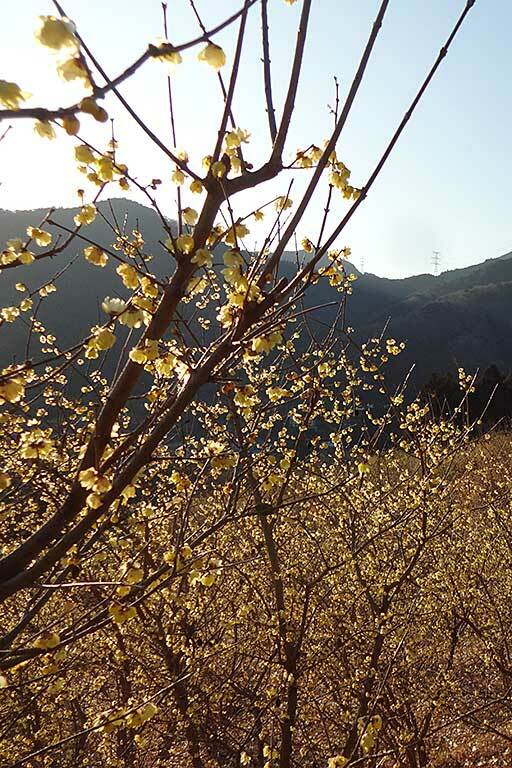 Under the still cold blue sky of early spring, the small yellow flowers bloom and their fragrant aroma fills the air. 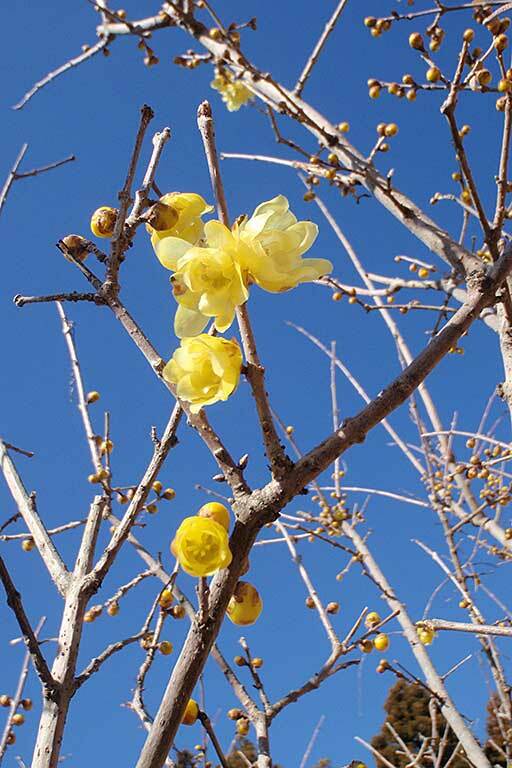 Winter Sweet Festival will be held from mid-January to late February. 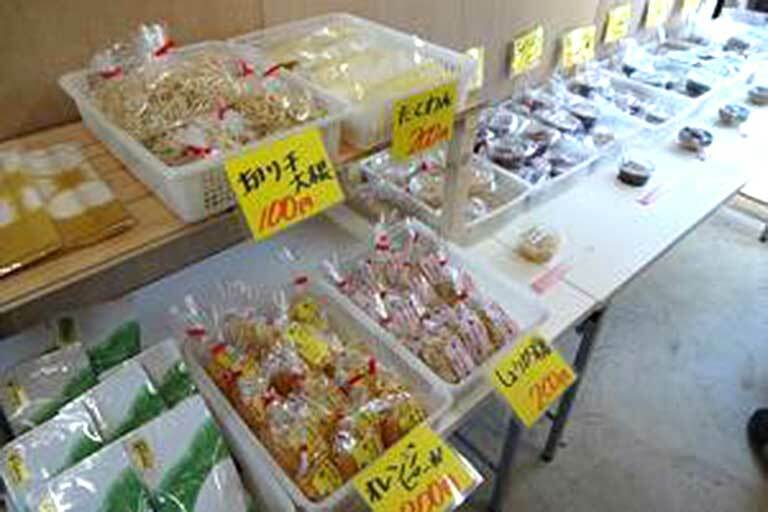 On Saturday and Sunday, there are shops selling all kinds of local farm products, crafts, souvenirs and so on. 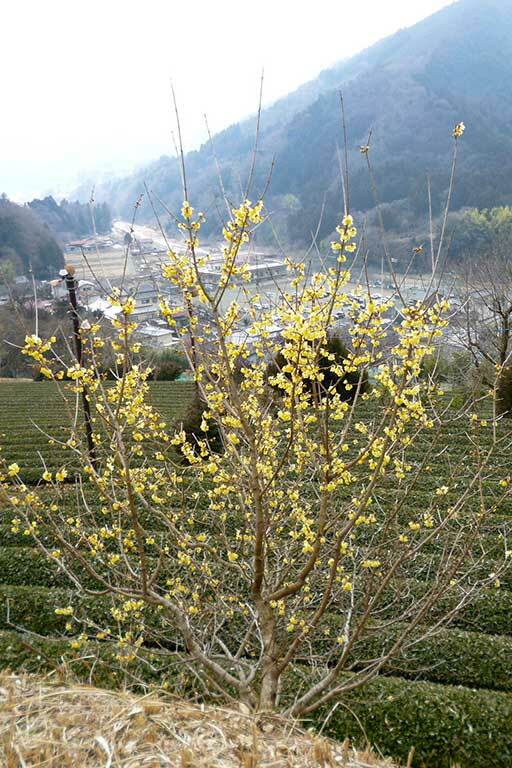 During the festival period the park is bustling with many people coming to view and enjoy the beautiful flowers.